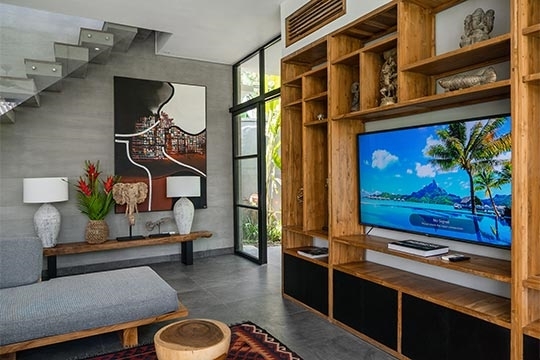 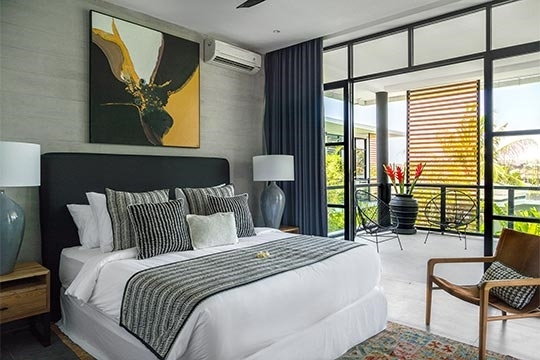 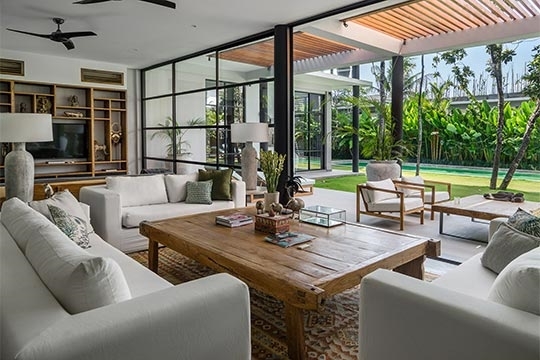 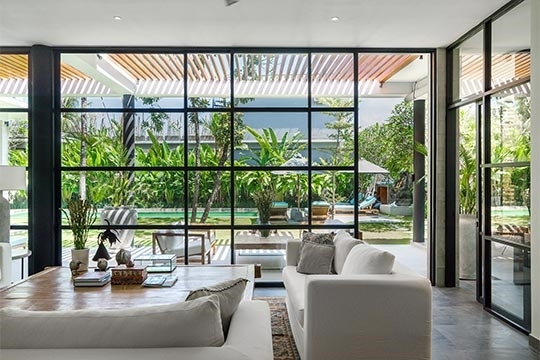 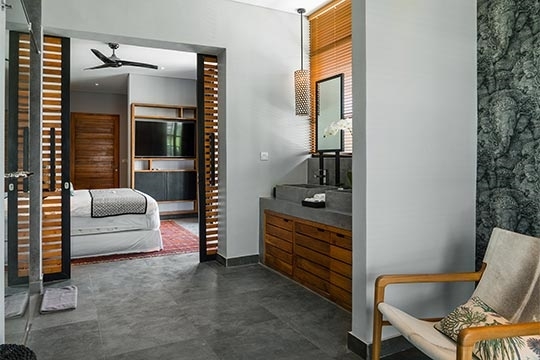 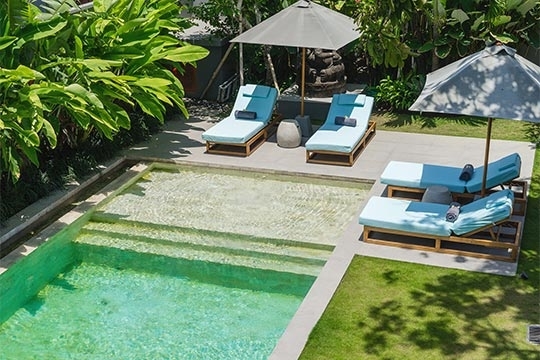 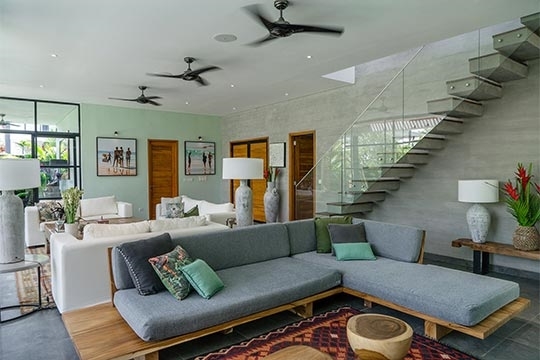 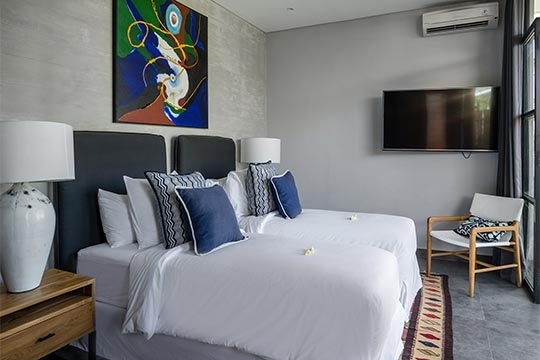 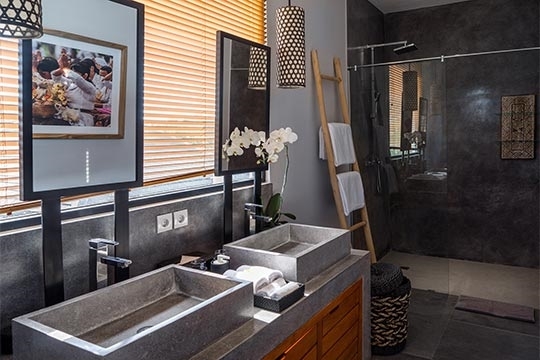 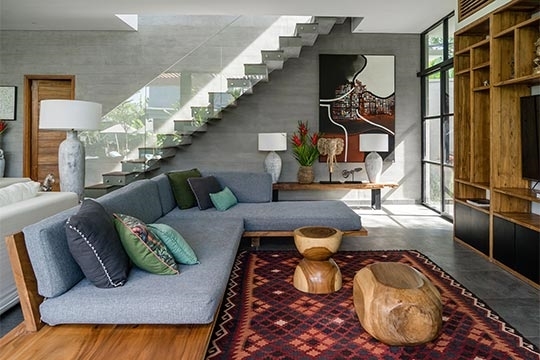 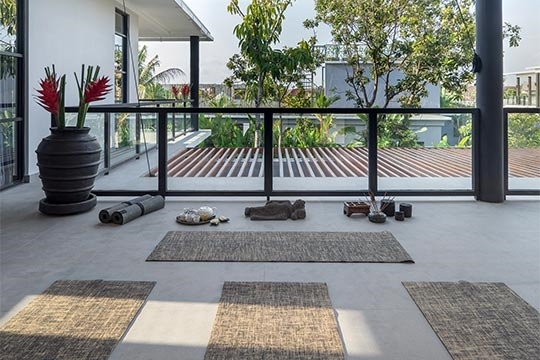 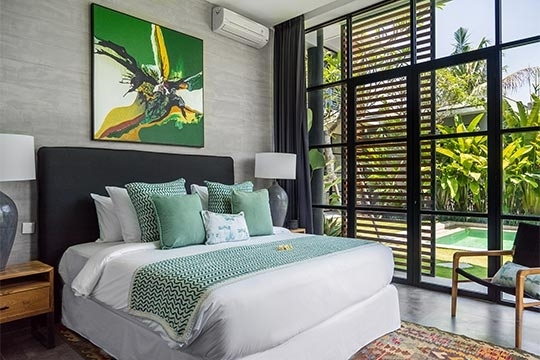 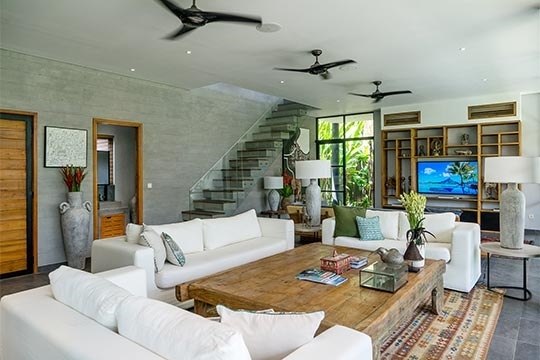 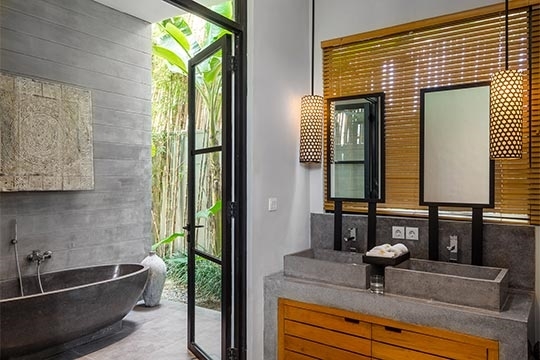 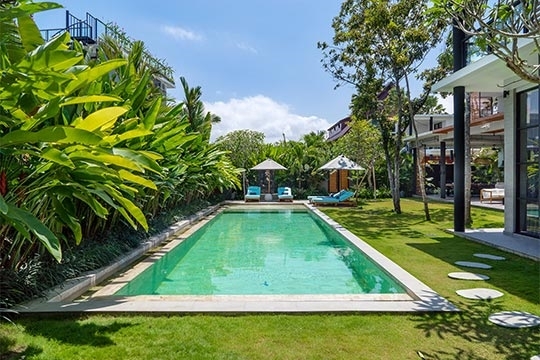 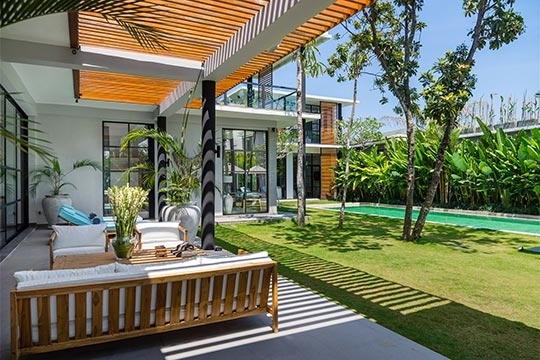 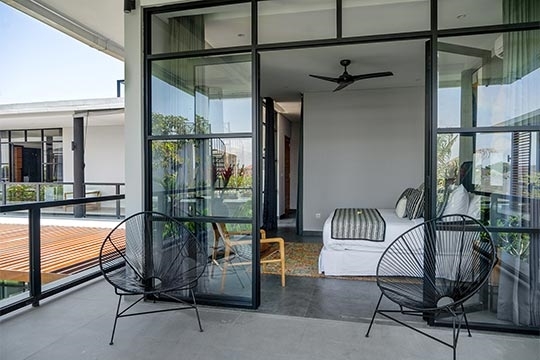 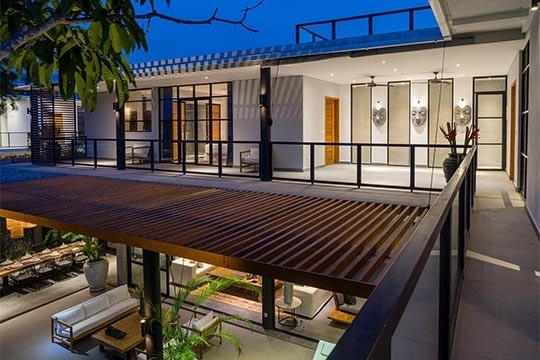 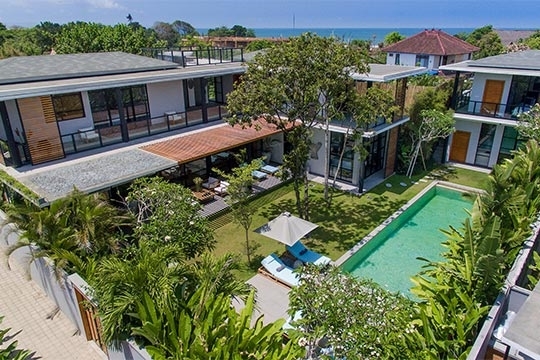 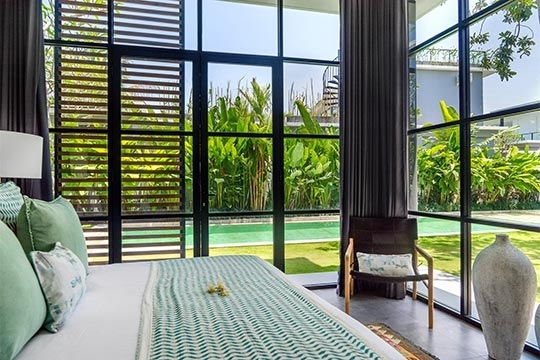 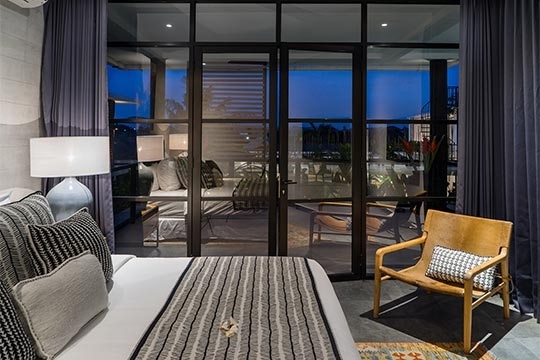 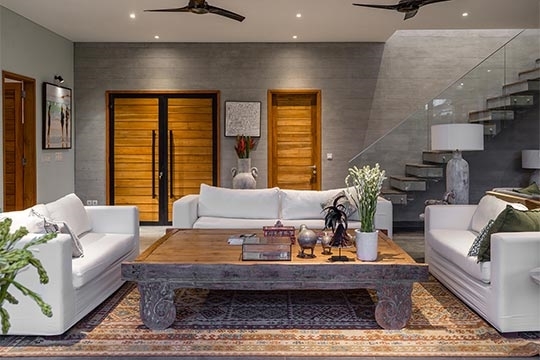 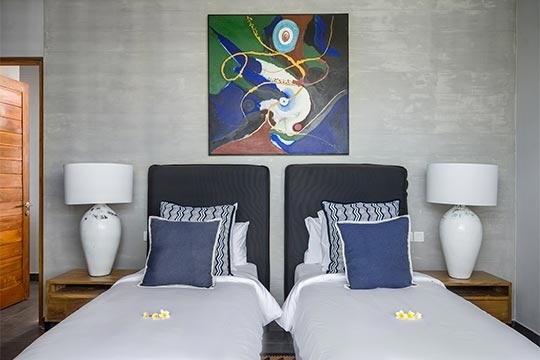 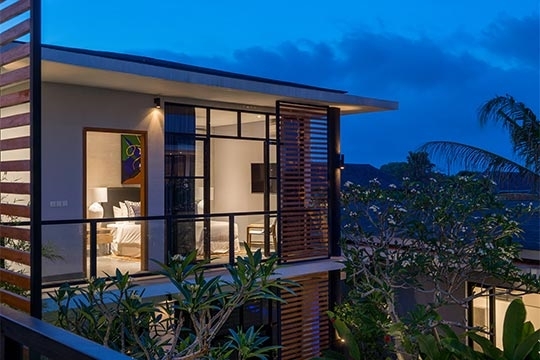 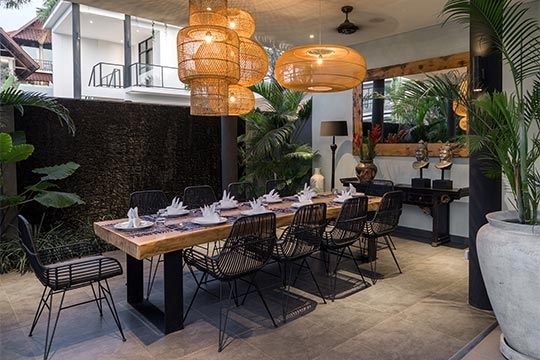 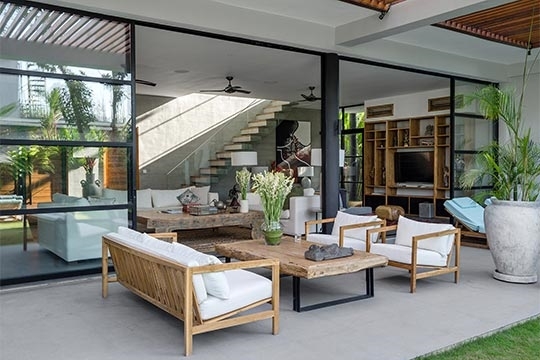 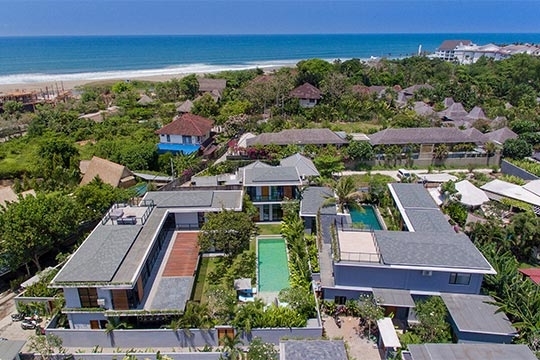 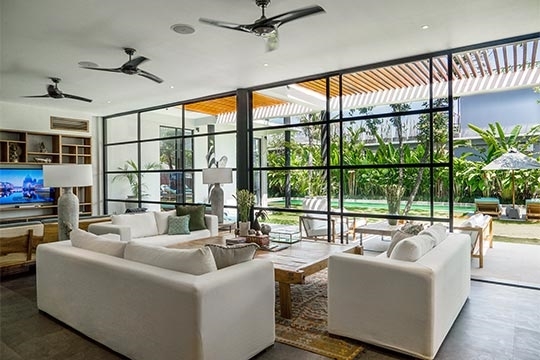 Canggu Beachside Villas - Villa GU - an elite haven | Pictures, Reviews, Availability | Bali Villas: Private and Luxury Vacation Rentals in Bali. 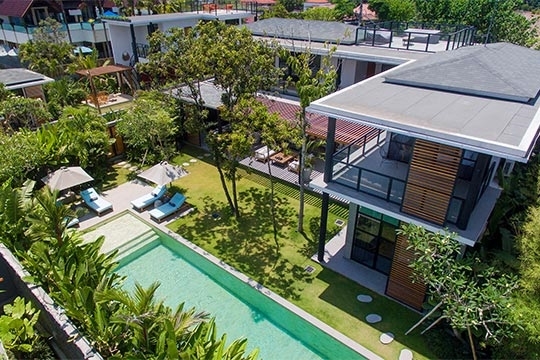 10 people (Three master bedrooms and two guest bedrooms. 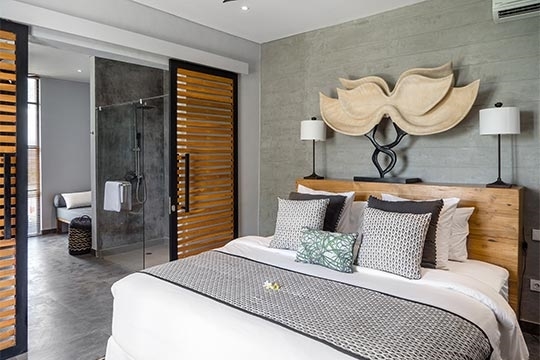 One master has a king-size bed and the rest have split queen-size beds, all with ensuite bathrooms). 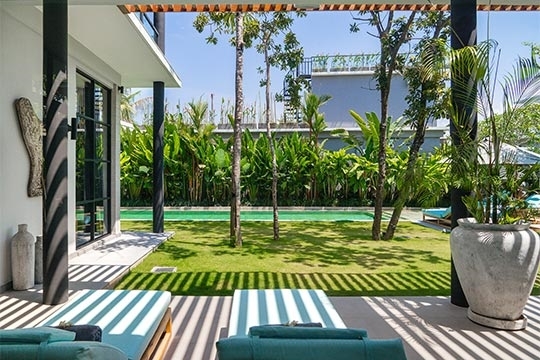 Length 15m x width 4m x depth 1.7m. 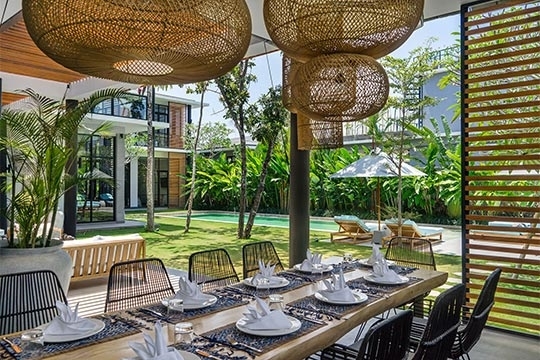 Villa Gu is well-suited for families with children. 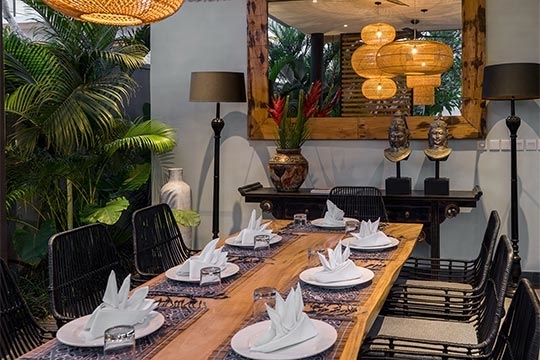 Equipment including baby cots, high chairs and monitors can be hired at an extra cost. 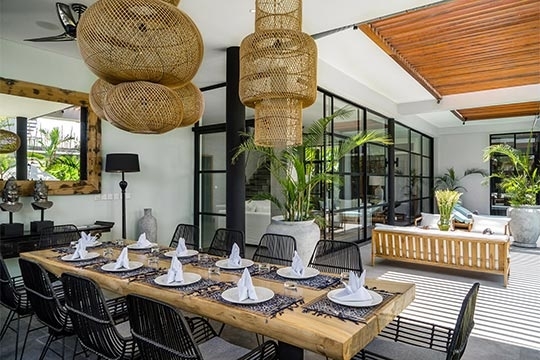 Villa Gu is within walking distance of a wide selection of restaurants and shops in Berawa, Canggu and Seminyak. 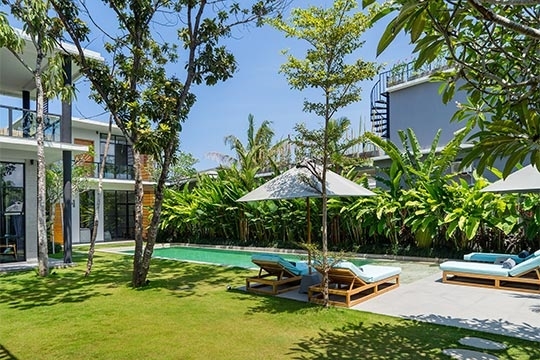 Seminyak is a 15-minute drive away and taxis are readily available. 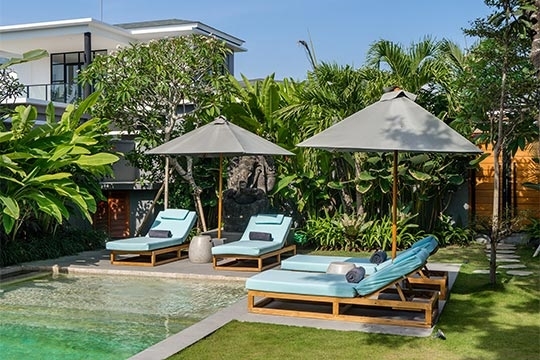 A six-seater car is available for hire, while additional drivers can be arranged by your villa manager (extra cost applies).